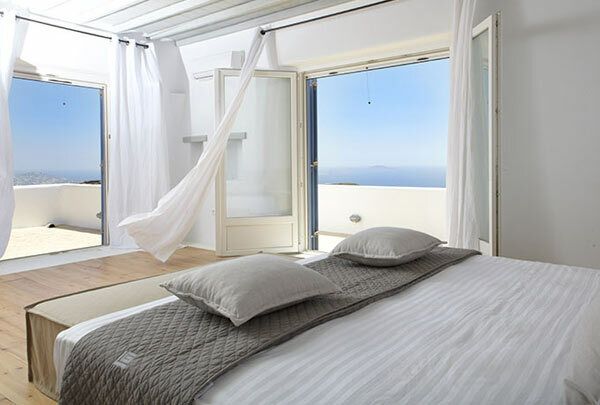 The brand new 3 stylish properties are located in the Fanari area of Mykonos Island, the region with the highest elevation on the island offering to their privileged guests a stunning panoramic view of sunsets, the Aegean sea and the town of Mykonos. You can choose from our 3 exceptional villas. We will tailor our expirtise to suit your personal travel needs. 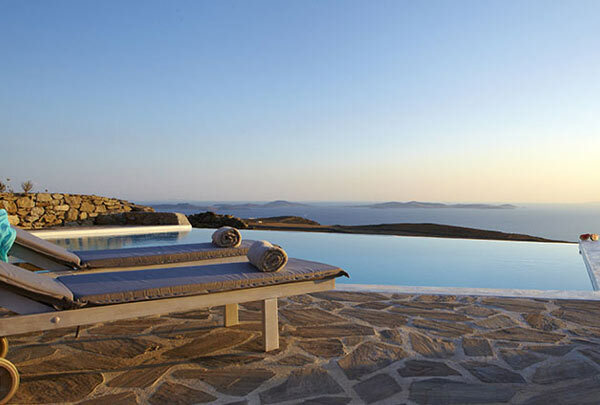 Peaceful panoramic views greet you as you enter this elegant villa majestically appointed on a cliff with unobstructed views of the Aegean Sea. The Lights of Mykonos were created to meet the needs of the most discriminating clientele who are seeking privacy, and a very specialized environment just for them.